Item # 304667 Stash Points: 1,195 (?) This is the number of points you get in The Zumiez Stash for purchasing this item. Stash points are redeemable for exclusive rewards only available to Zumiez Stash members. To redeem your points check out the rewards catalog on thestash.zumiez.com. 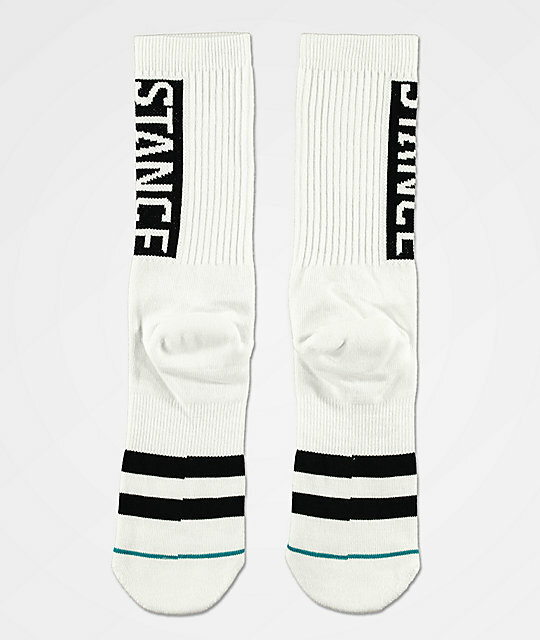 Inspired by their day-one customers, Stance has designed the OG White Crew Socks. 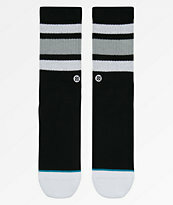 These crew socks come in a crisp white colorway with black jacquard knit branding and stripe details throughout. With a ribbed athletic upper, elastic arch support, and reinforced heels and toes, these socks not only look good, but they feel good too. 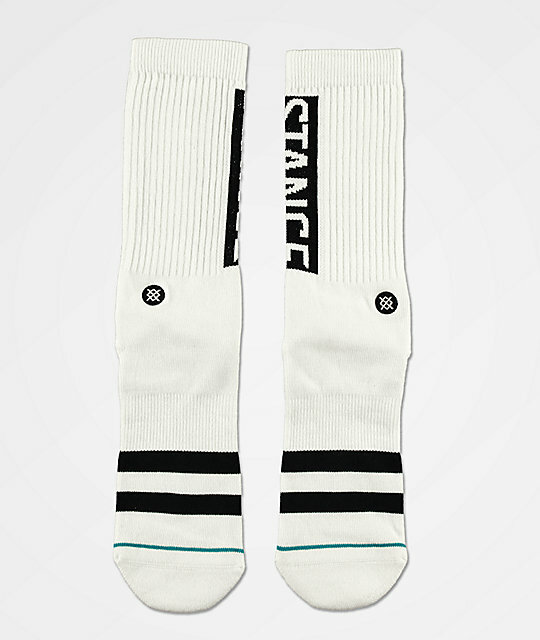 OG White Crew Socks from Stance. Fits men's US shoe sizes 9 - 12. Athletic ribbed upper for a secure fit. Terry loop in forefoot, heel & toe for medium cushioning. Signature Stance logo embroidered on the ankle.